beef Wellington, check. Blue cheese Souffle, check. Graham crackers, check. These are all things I've made in the last year that I've always wanted to try. Call it a culinary bucket list of sorts. What's on your list? Maybe it's simply roasting a chicken. No one will make fun of you. Give it a try. What's the worst thing that can happen? Frozen pizza? I can't believe that this is the first time I've ever made popovers. In the past I've tried to make the Dutch/German puffy pancakes without much success. It seemed like a popover was in the same mystery family, so I've always found another option. Today was the day. Thanks to Baking with Julia and the Dorie Greenspan Tuesdays with Dorie group, Popovers made it on the calendar. Much to my surprise, they were easy! A quick brrrrr in the blender, 45 minutes in the oven and ta-da! 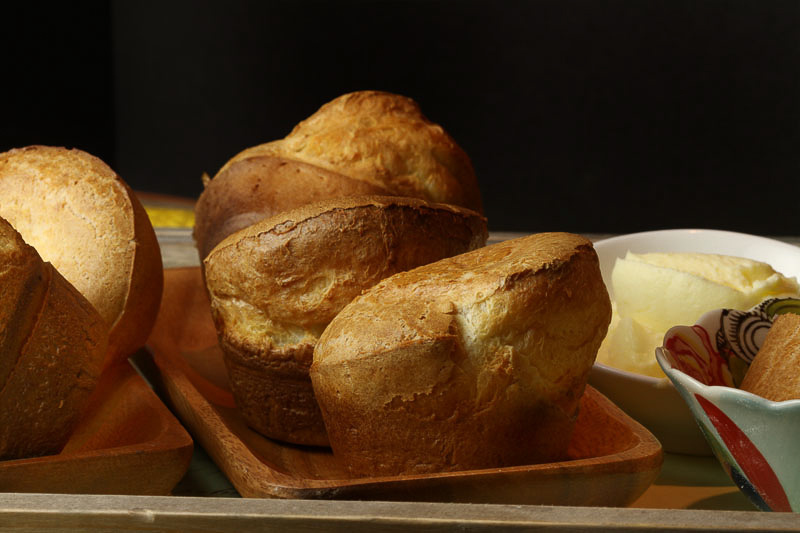 Tasty, dreamy popovers. And without gooey centers, I might add. The ingredients are super simple. Flour, eggs, milk, salt and a butter. The usual suspects. 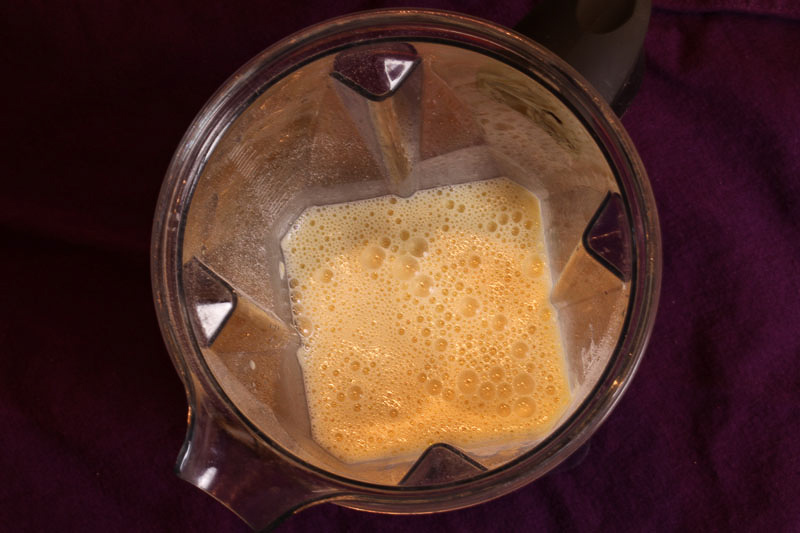 When all the ingredients are at room temperature, they get a quick brrrrr in the blender. I've always wanted to include an overhead blender shot, so here it is! I don't own a popover pan, so I opted for the muffin cups with 1/4 cup batter in each cup. I very skeptically put the pans in the oven and walked away. Then walked back and turned the oven light on. This was too good to miss. After a few minutes the popovers started to pop, and I knew I was in business. Twenty-five minutes later, I reduced the oven temperature and waited for the finished beauties. They were crisp, light, and best of all... not gooey in the middle. I split one open, spread a little more butter and drizzled it with honey. Why was this the first time I'd made these? I hope you'll go to Paula's blog, Vintage Kitchen Notes, or Amy's blog, Bake with Amy to find the recipe and give popovers a try. Now on to the next new-to-me recipe... I think it might be pretzels using real lye! Stay tuned.